Mr Babache Tornado Diabolo w/ Evo 2 | Buy Kids' Triple Bearing Diabolo. The Tornado is the little sister of the Finesse diabolo and this model comes fitted with an Evolution 2 bearing axle. The Tornado's medium size makes it suitable for children and those that prefer smaller diabolos. 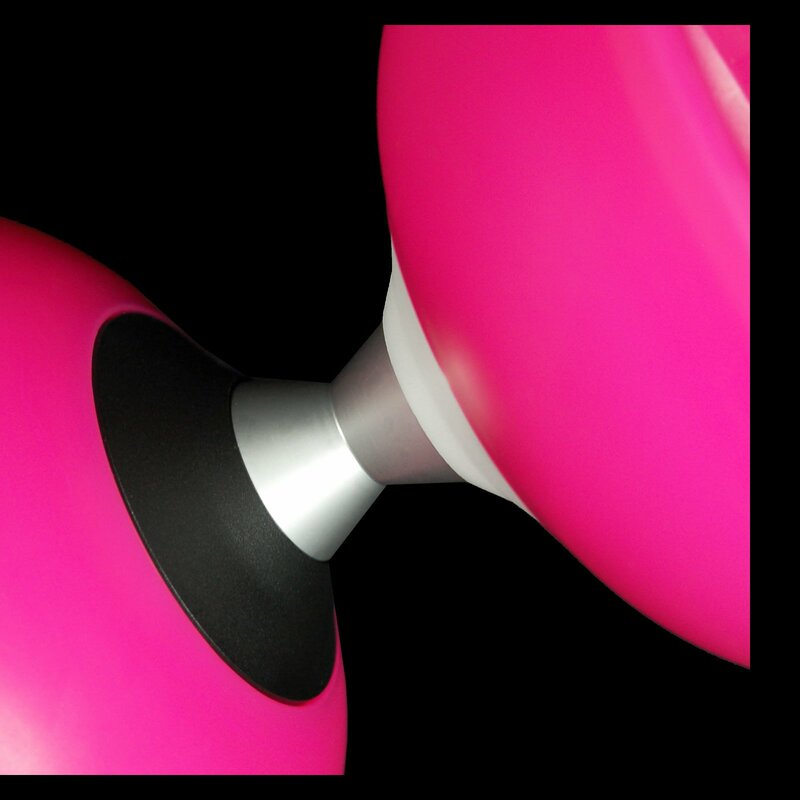 The Mr Babache Tornado Diabolo is the smaller (medium sized) and lighter little sister of the Mr B. Finesse diabolo. This model of the Tornado is fitted with the highly anticipated Evolution 2 bearing axle kit turning it into one of the best children's clutch diabolos. Already got a Tornado or Finesse? Then you can buy the Evo 2 axle separately here. The Evo 2 Tornado might cost considerably more than some other medium sized bearing diabolos but, as ever, the old adage rings true: you get what you pay for. The Babache axle and diabolo is better made and more durable than almost any other bearing diabolo available. The Tornado has cups made from tough and slightly flexible rubber, similar to that of the Finesse. The weight of the diabolo is focused around the rims of the cups. This ensures the Tornado has great momentum and stability at both high and low speeds. The Evolution 2 bearing axle is also nice and wide (the width hub to hub is 0.9" (22mm) with this axle - the same as the Evo 1 finger axle) which helps you to do stick and finger grinds and opens up many other tricks that aren't possible with a narrow axle. Even with the Evo 2 fitted this diabolo is still compatible with the other Babache Evolution kits, though obviously you'd have to remove the Evo 2 to install an Evo 1 wide axle kit. Don't just take our word for how great this axle is. LaNgErZ tested an Evo 2 installed on a Finesse for us. See what he thought of it in the review tab on this page.